The best insurance coverage at the lowest prices. 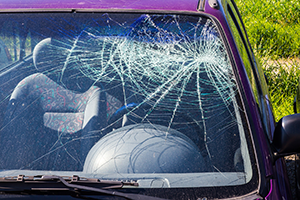 Don’t wait until after an accident to get the right car insurance. Purchase too little and you risk losing hundreds or thousands of dollars out of pocket in the case of a serious accident, but buying too much auto insurance can also cost you money in the long run. Our experienced auto insurance agents in Omaha will also take on the time-consuming task of researching insurance policies that will meet your needs at the lowest possible rate. No need to spend hours calling various car insurance companies – we’ll do it all for you, and then we will present you with the best options so you can make an informed decision. We are a local, family owned business who has been doing insurance for over 80 years. Make us your trusted car insurance provider and we promise to care about all your unique auto insurance needs. Please contact us or request free auto insurance quote! Find Car Insurance for Your Young Driver! Should you Purchase Extra Car Insurance from Your Car Rental Company? Subscribe today and get monthly email updates with important insurance information. All content © Copyright 2012-2017 Chastain Otis. All rights reserved. Site created by Webster Digital Marketing, Inc.